Skye Gravestones | Angus & Mary (Campbell) Macleod, d. Flora. 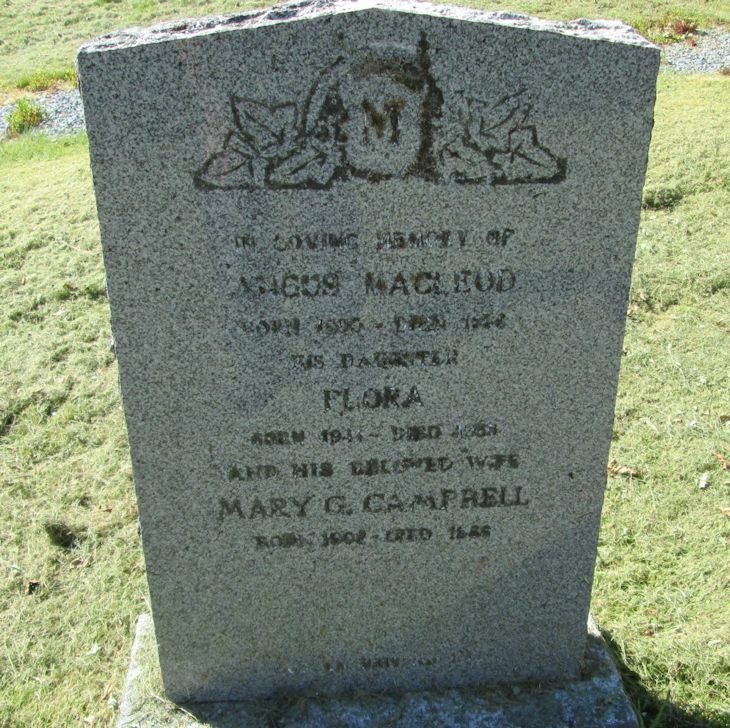 Angus & Mary (Campbell) Macleod, d. Flora. In loving memory of/ANGUS MACLEOD/born 1896 - died 1946/his daughter/FLORA/born 1941 - died 1956/and his beloved wife/MARY G. CAMPBELL/born 1902 - died 1986. Picture Added on 06 April 2018.